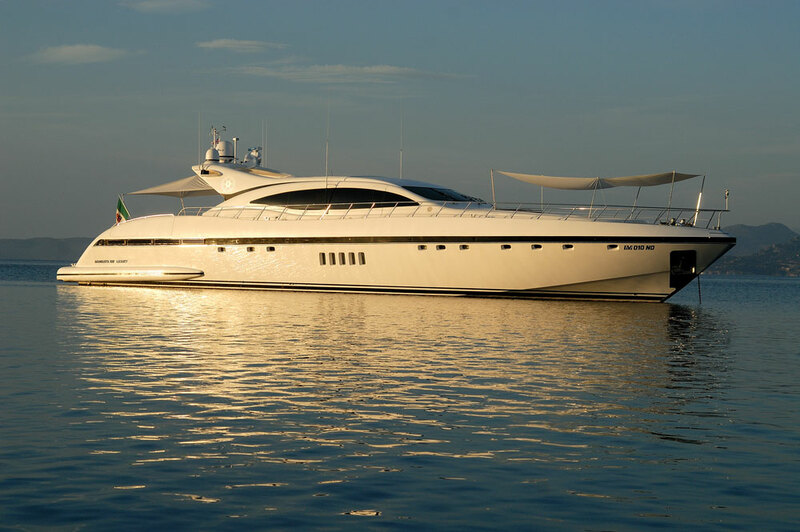 Yacht BLOOMS is a Mangusta 108 by Overmarine which was launched in 2005 and is available for Mediterranean yacht charters. 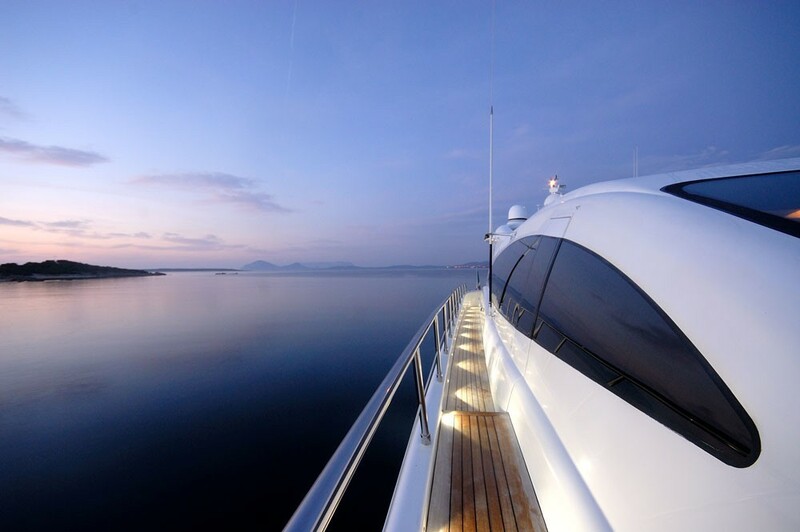 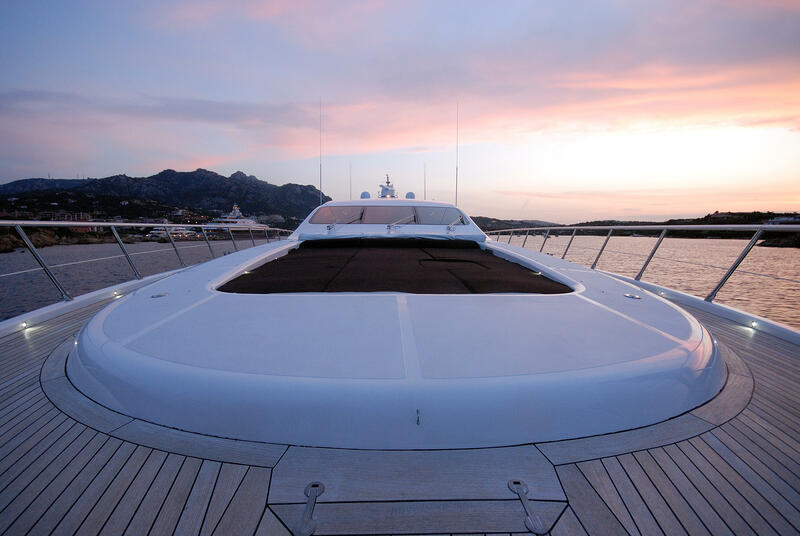 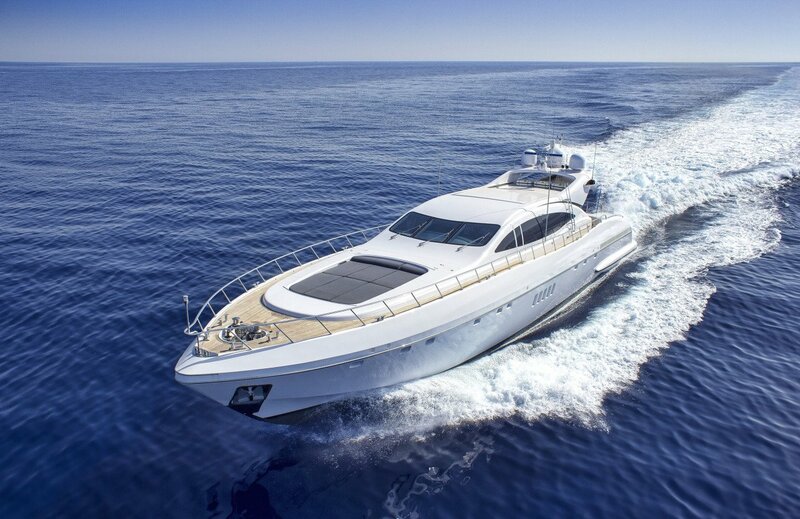 This Mangusta 108 has a very stylish tasteful interior and also a functional exterior with a Spa Pool pool and sun shading. 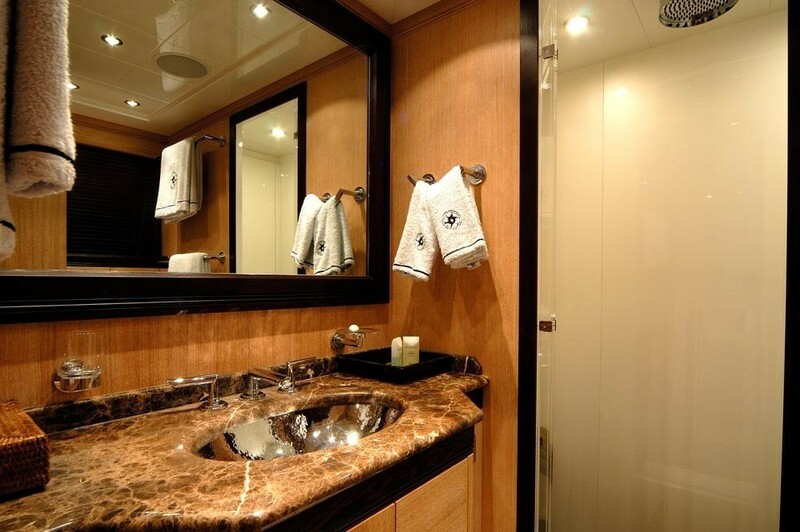 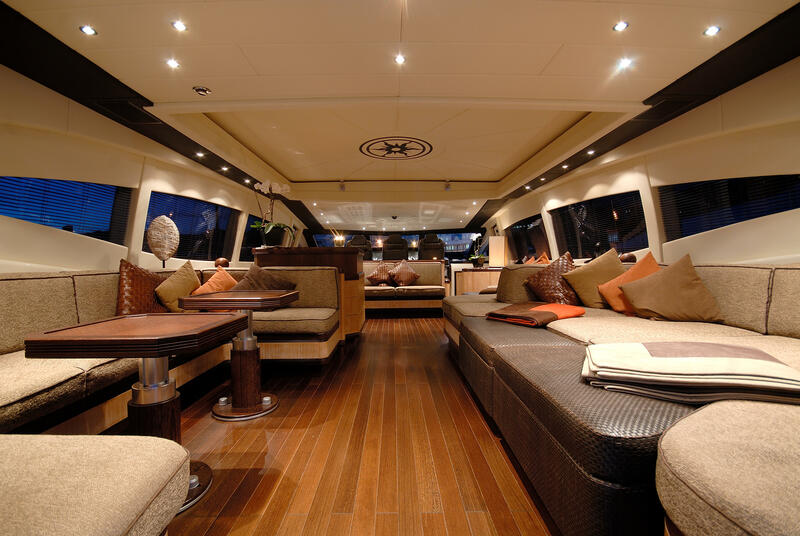 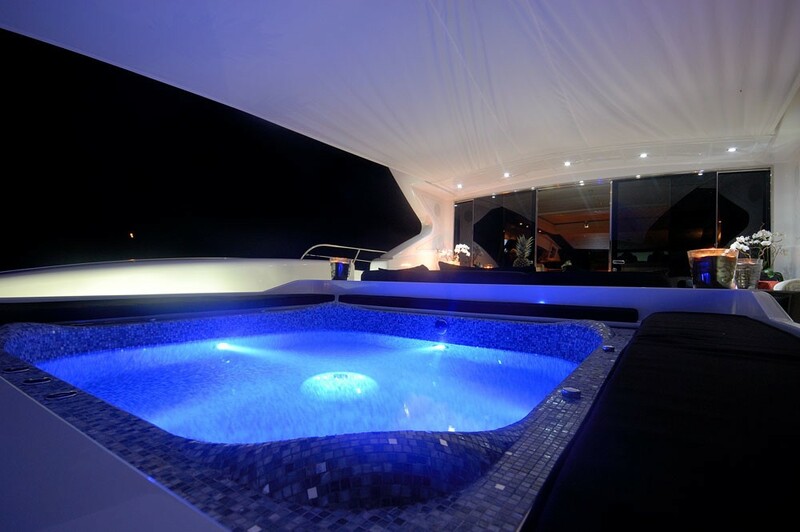 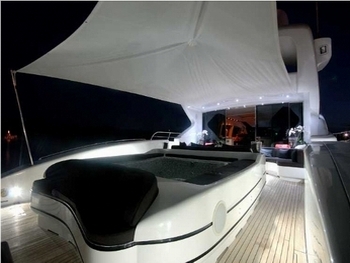 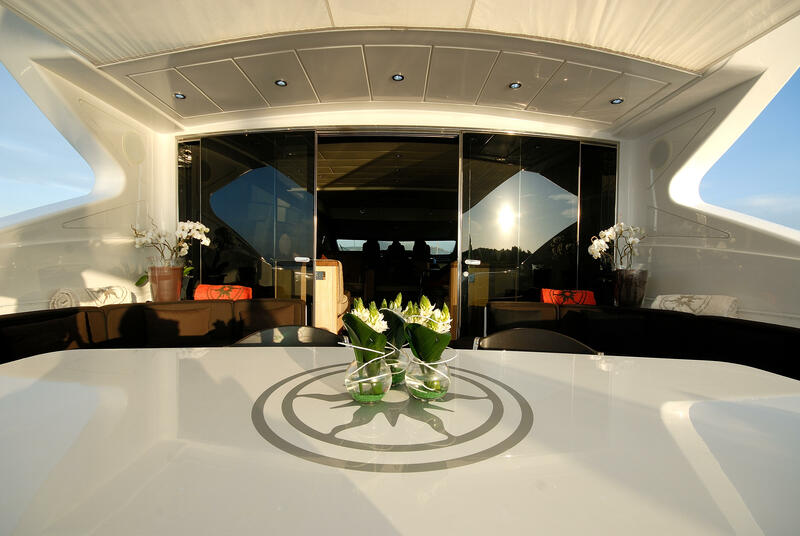 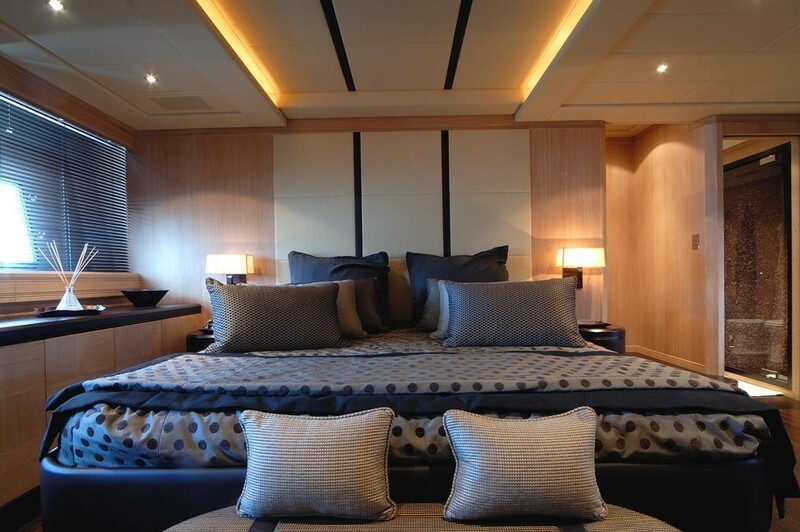 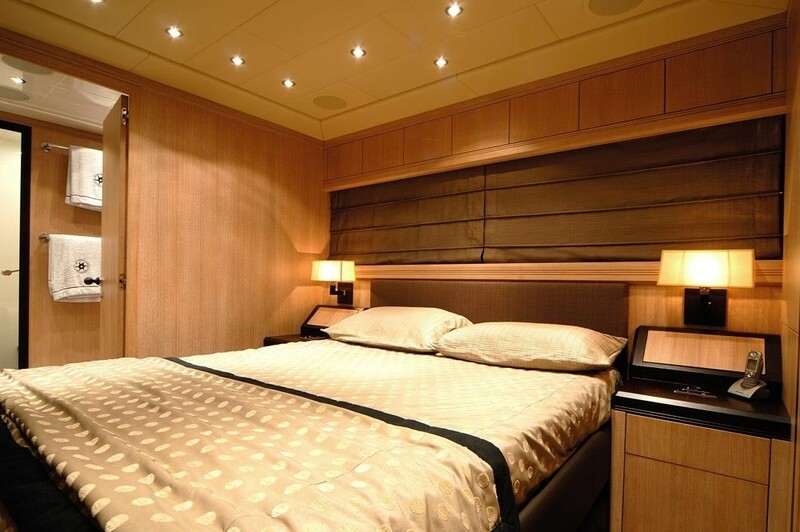 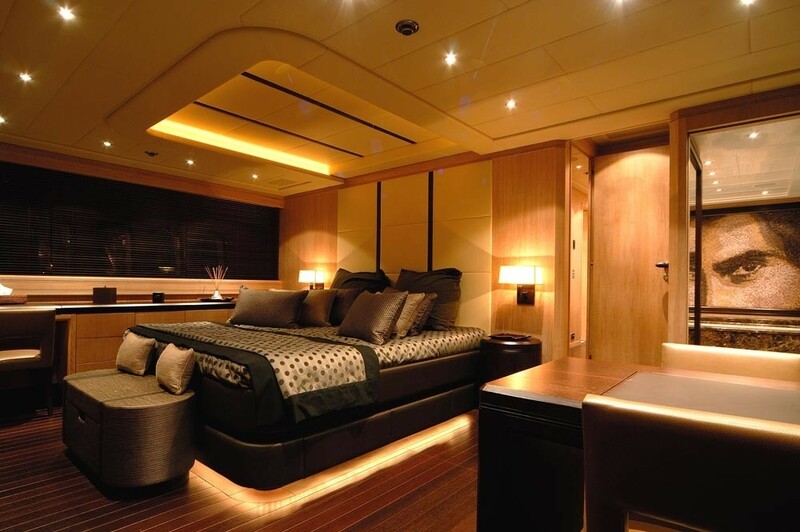 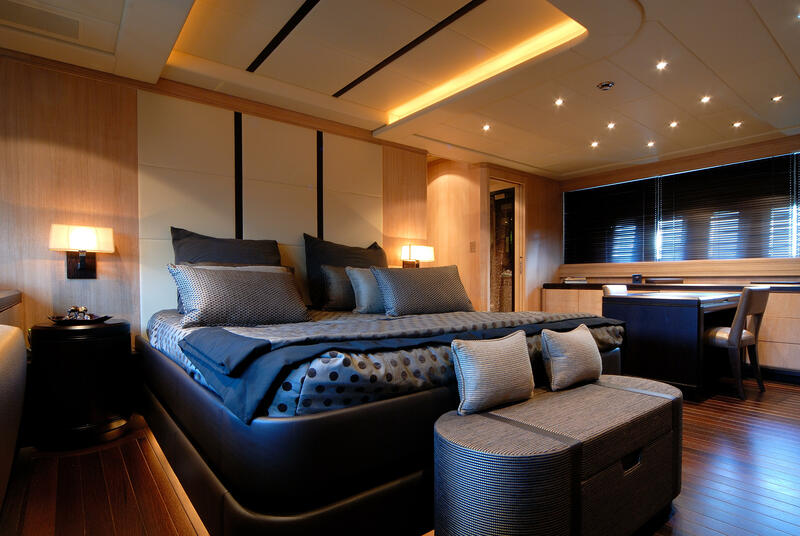 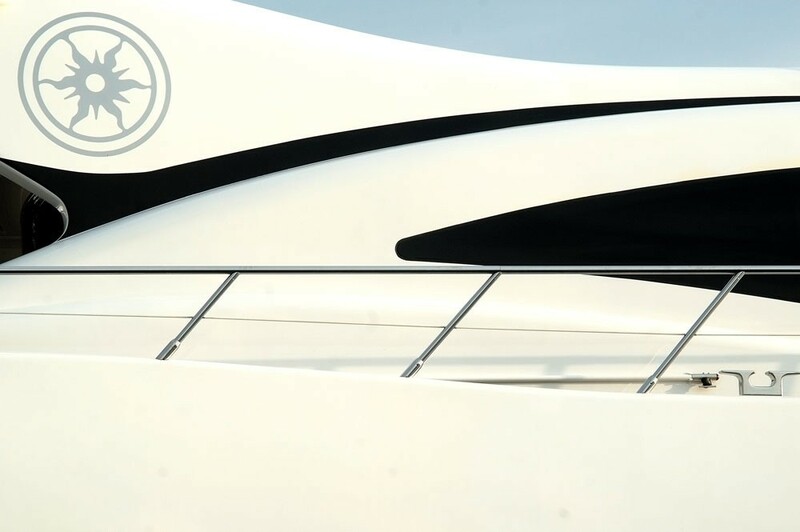 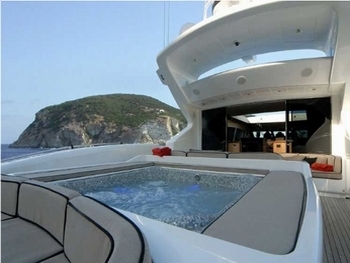 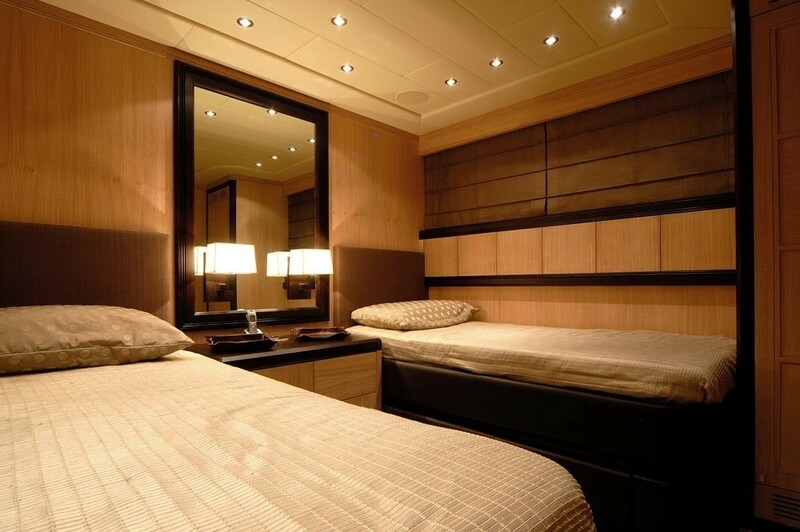 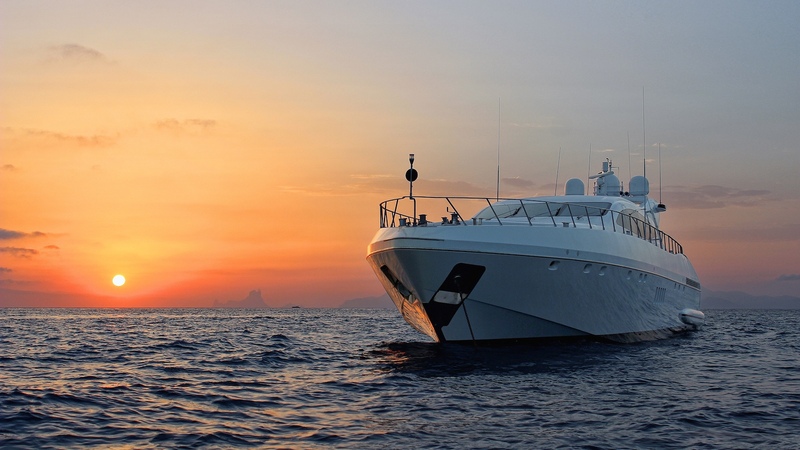 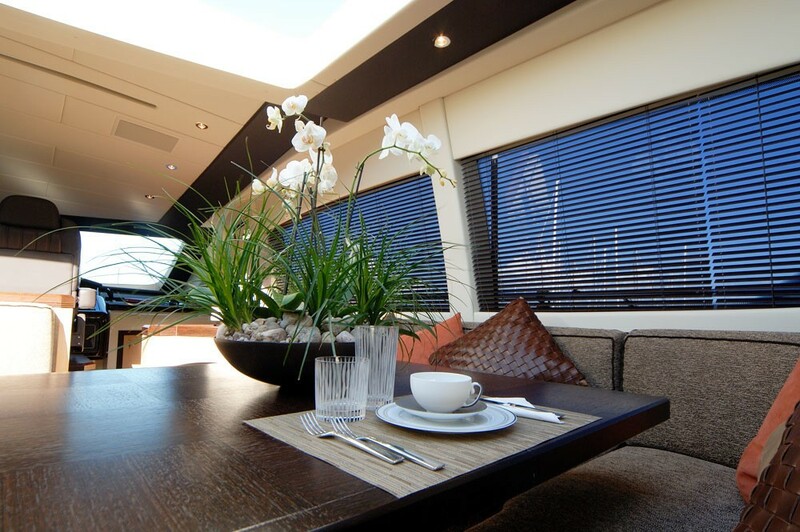 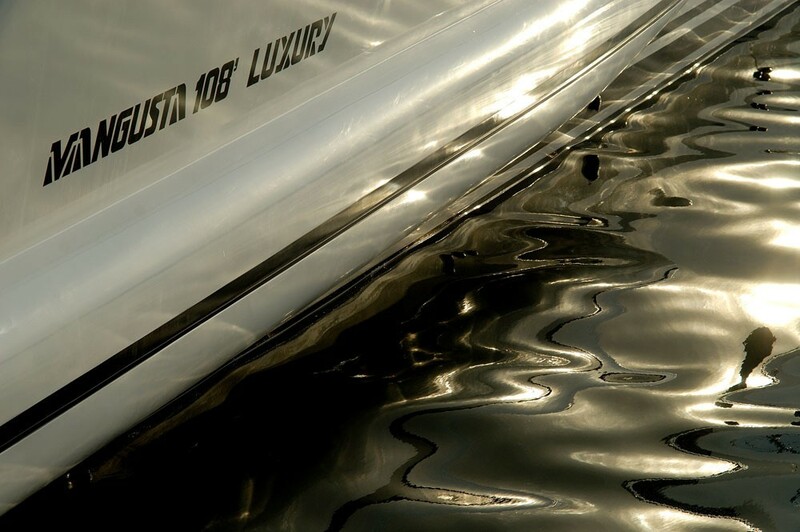 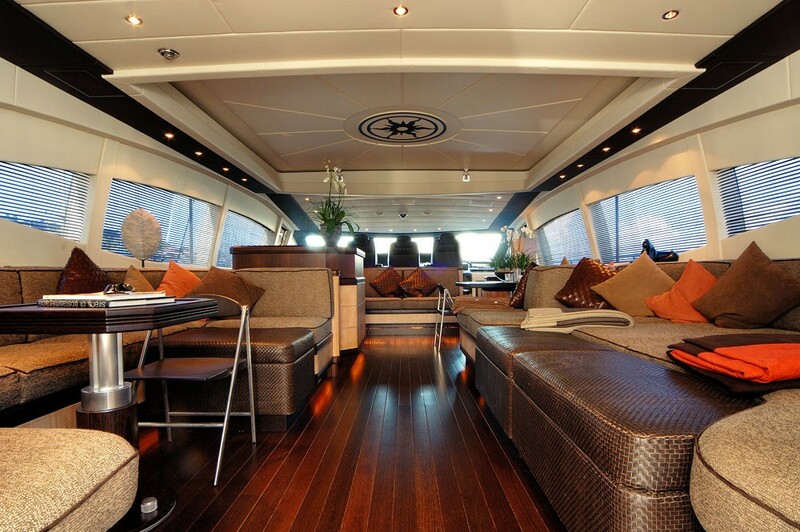 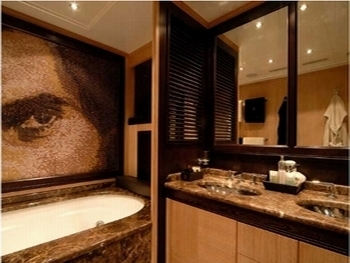 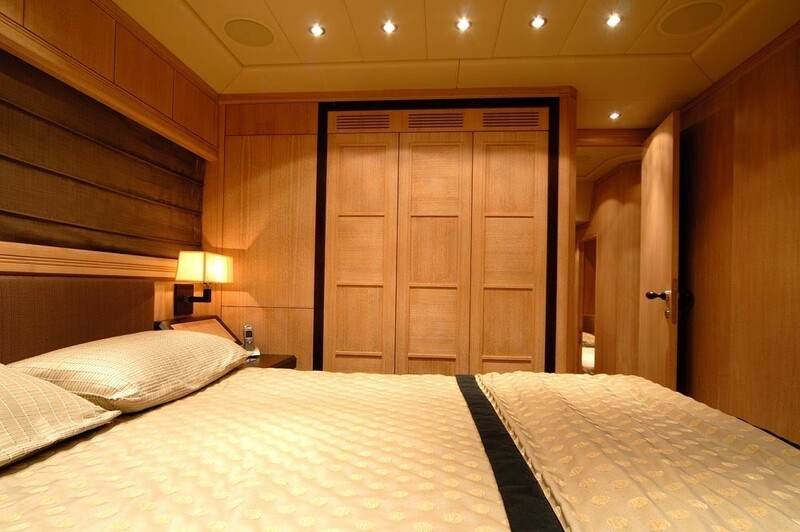 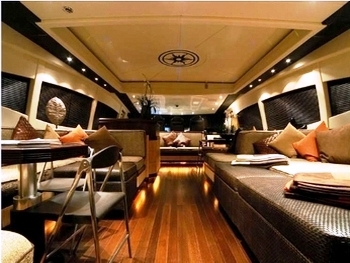 Luxury motor yacht BLOOMS can accommodate up to 9 guests. 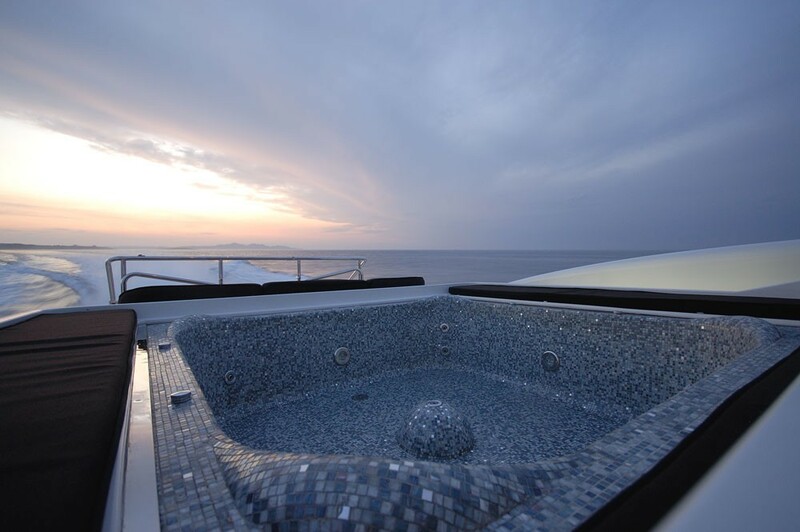 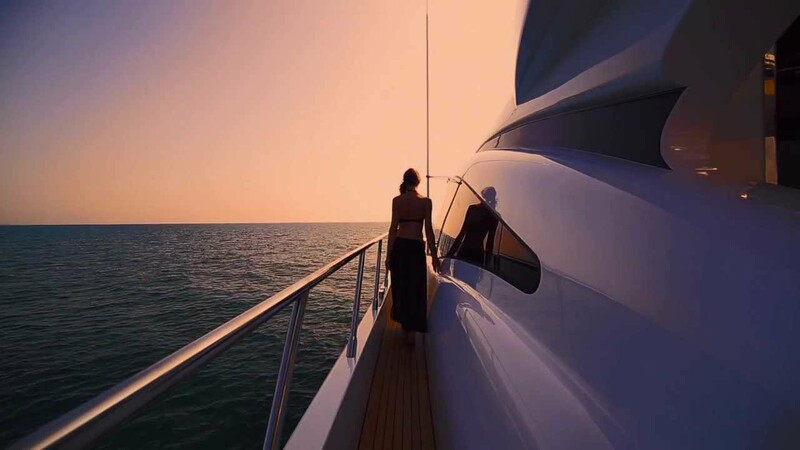 BLOOMS (ec ARES) is an extra Luxury Sport Yacht with a Spa Pool on Sundeck and Turkish Bath and Sauna with state of the Art sound System throughout. 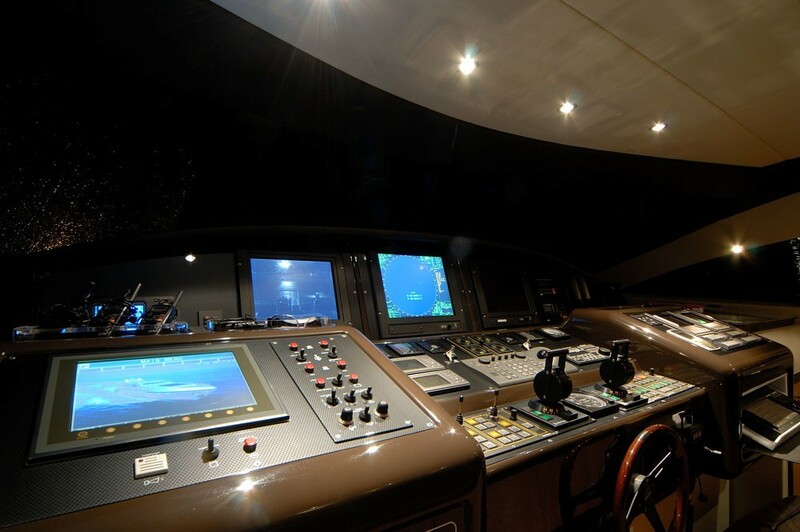 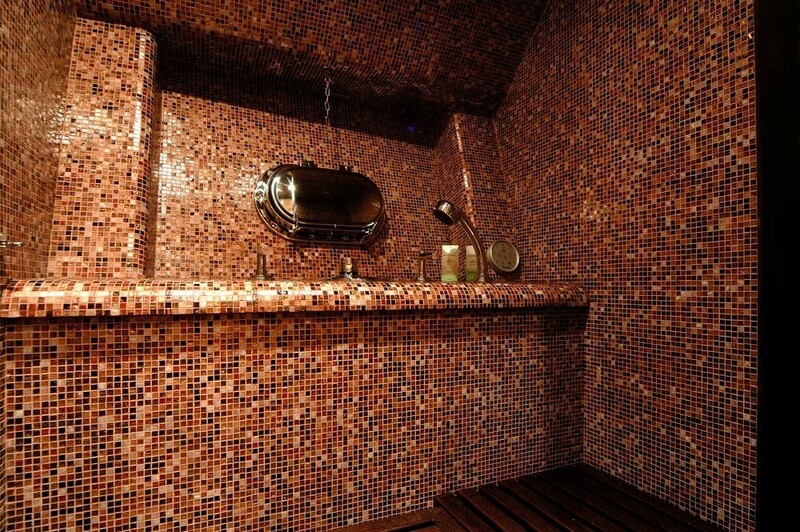 CD TVs in each cabin, Barco maxiscreen in salon Air Con Int/Ext Bang Olufsen Sound System all through, DVD/Sat. 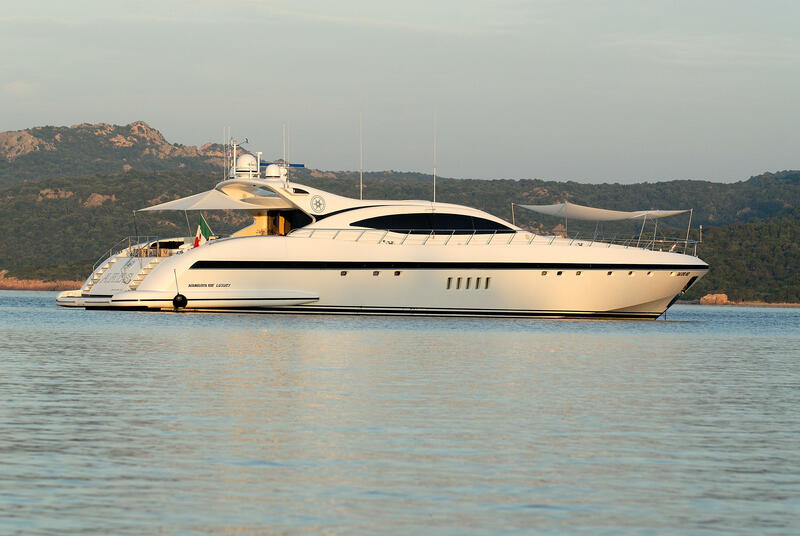 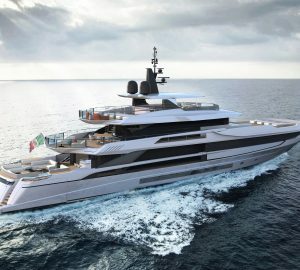 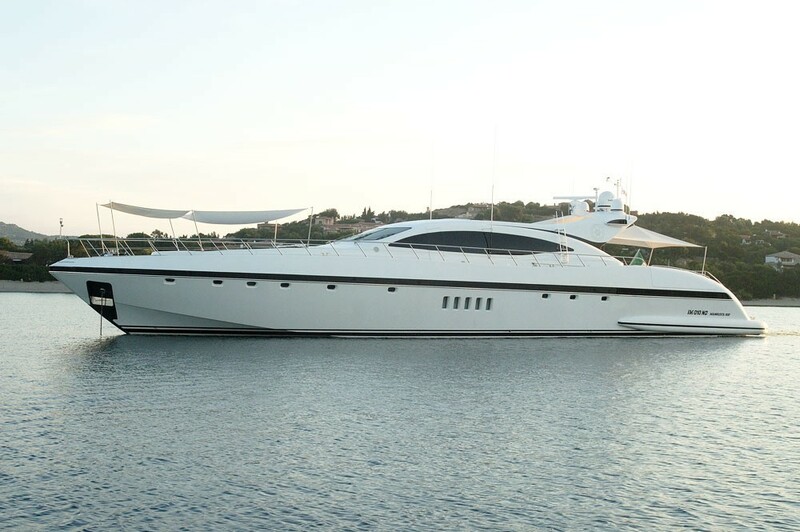 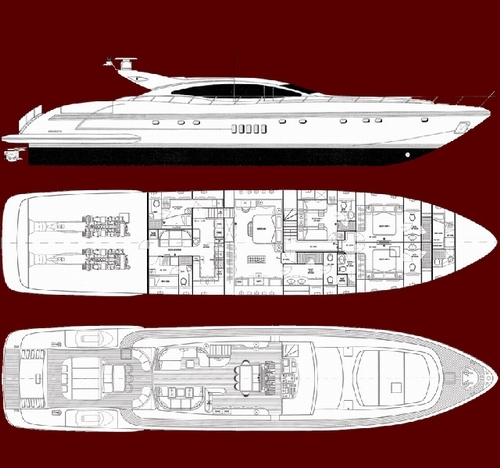 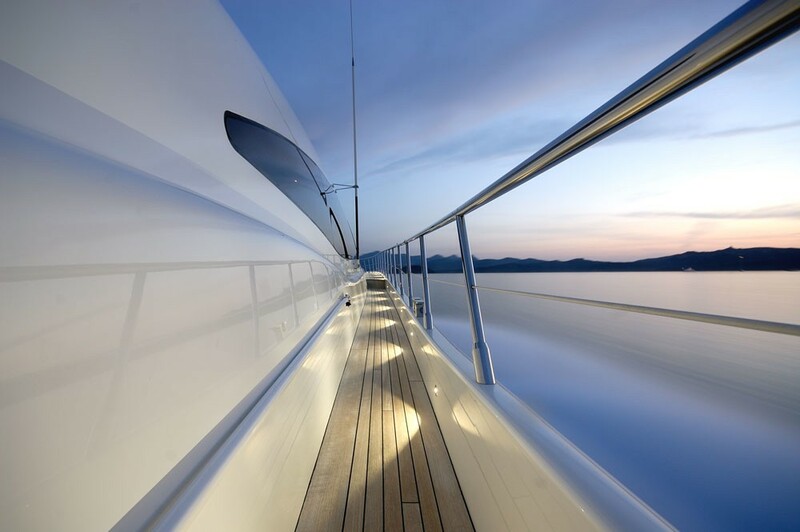 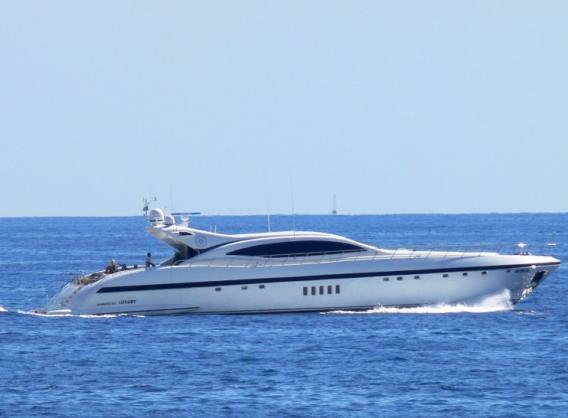 This Mangusta 1008 boast 2 x 2750 Hp MTU + Kamewa WaterJet 2 x 20Kw Kholer which push her along at quite a speed.